A Victorian council will banish cats from its streets after it voted to impose a 24-hour cat curfew. 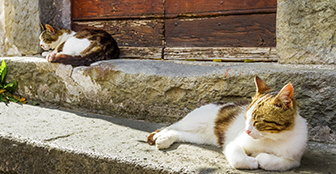 Cats in the Shire of Yarra Ranges, Australia, will be confined to their owner's property at all times when the curfew is enforced in six months. The new law received overwhelming support in an online poll. Almost 60 per cent of 234 respondents were in favour of the 24-hour ban and another 39 per cent supported a night curfew. Those who opposed the tougher laws said it was cruel to keep cats enclosed at all times. They also complained that the cost of outdoor enclosures would make pet ownership too expensive. Those in favour said cats should have the same restrictions as dogs and other pets, which cannot roam the streets unchecked.